The patient was infected with the virus during an in-patient stay in April 2012. A patient contracted hepatitis C at a hospital in Lanarkshire, a health board investigation has found. 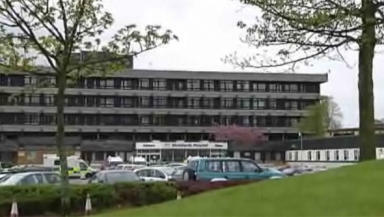 The patient was infected with the virus during an in-patient stay at Monklands Hospital in April 2012. NHS Lanarkshire has written to a further seven patients and contacted their GP as a precaution. The health board said infection control measures would be stepped up and there would be more frequent checks of ward environments. Staff will also be given additional training on infection prevention. Dr John Logan, consultant in public medicine, said: “We have carried out a detailed and thorough investigation. While it is very unlikely that anyone else has been infected in connection with this, we have taken the precaution of providing seven patients with information about the situation and a questions and answers document.